BRASÍLIA, BRAZIL – A federal court has served Chevron and Transocean with a preliminary injunction ordering them to halt operations in Brazil within thirty days. The injunction comes in relation to civil lawsuits resulting from a November 2011 oil leak off the coast of Rio de Janeiro, in the Campos Basin’s Frade field, which is operated by Chevron using a Transocean rig. Transocean and Chevron have been ordered to halt offshore operations in Brazil, photo by Programa de Aceleração do Crescimento PAC/Wikimedia Creative Commons License. In a statement, Transocean said it was served Thursday, while Chevron was served Tuesday, according to Agencia Brasil. If the injunction holds, the repercussions for the extraction of Brazil’s pre-salt oil could significantly reduce national oil production, and shake up the multinational industry invested here. 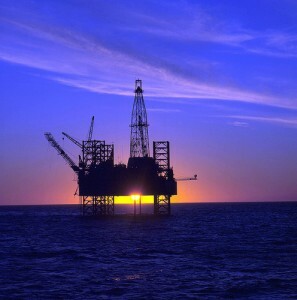 Transocean currently has ten rigs under contract for work in Brazil, with nine currently in country. Seven of those rigs operate for Petrobras in deepwater areas vital to their oil production expansion plans. Petrobras, which is majority-owned by the Brazilian government, has said they will help the firms with the case. The ANP (Agência Nacional do Petróleo, Gás Natural e Biocombustíveis, National Agency of Petroleum, Natural Gas and Biofuels) had decided to fine Chevron for its role in the spill, and cleared Transocean of any blame. The regulator said Thursday Chevron had paid a R$35.1 million fine to the regulator for its role in the Frade leak, receiving a thirty percent discount for paying on time and without challenge. Yet Brazilian prosecutors are also still seeking nearly R$20 billion in damages for the leak, and charging seventeen Chevron and Transocean executives with crimes that carry jail terms of up to 31 years. Both companies deny any wrongdoing. The Frade leak was far less destructive than leaks such as the BP 2010 Gulf spill. Some 4,000 barrels of oil equivalent were spilled, and no one was harmed, compared to BP’s five million barrels of oil and eleven dead.